Is your well deserved holiday on the corner while you are looking for the ideal wellness hotel near Lake Balaton? Are you looking for a hotel that is not too crowded and can offer all the services needed for a relaxing wellness weekend? Are you looking for a holiday destination with sightseeing opportunities spiced up with some adventure and lifetime experiences? # Friendly staff and environment provided by a family-friendly hotel that guarantees unforgettable experiences. 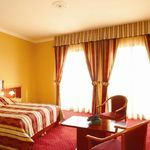 # You can choose between 9 different room types all of which are air-conditioned and equipped with color tvs, safe deposit boxes and minibars. You can find the detailed room descriptions here. # Our wellness island awaits you with special services you can use any time during the time of your stay. # Our restaurant, keeping 100 year old traditions alive awaits its guests with delicious supper buffet and A'la Carte dishes. # Café and bar: have a sip of our Italian coffee specialties, cocktails and delicious schnapses bottled by the hotel. # Free Wifi is provided in all areas of the hotel and free parking as well in the hotel’s parking lot, which is monitored by our security cameras. The guests have unlimited access to the services of our wellness island during their stay. You’ll find every wellness equipment you’d like to use during your holiday and even more! # Jacuzzi with waist, back and feet massage elements. You can find detailed information about the services of our hotel by clicking on this link. Where is Alsóörs and why should I visit? The peaceful environment of Alsóörs is located on the northern part of Lake Balaton between Balatonfüred and Balatonalmádi. 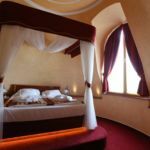 The area is full of sightseeing opportunities and adventures and if this isn’t enough, the most popular cities in the area like Veszprém, Tihany and Balatonfüred are in a 15 minute distance by car. We have collected a few points of interests for you, so planning your holiday has never been easier. No problem if you prefer visiting places on foot: in Alsóörs every place worth mentioning is just a few minutes away from our hotel. Every service of the hotel is payable with a SZÉP card so, you can spend your money on your holiday. You can pay with all 3 of the sub-accounts of the card. The rating of Laroba Wellness Hotel Alsóörs is 8.9 from the maximum 10, 157 based on actual and valid guest ratings and reviews.